Who would have ever thought that dominoes would inspire so much joy and creativity? Despite the history of the rectangular blocks being somewhat unclear, we know that they’re as much of a hit today as they ever were. Just as those serving under King Tutankhamen were matching numbers in a bid for domino dominance, gamers in the modern day are still finding new and creative ways to enjoy the game. While some would argue that you’ll never beat the original format, there are some interesting variants on the market today. In fact, there are some domino games that don’t contain any dominoes. Even though there’s the argument that you have to have dominos for it to be called dominos, there are games that are inspired by the game we all know and love. Card domino games like Texas 42 and Canton have been popular for the last few decades and have since inspired some interesting offshoots. Back in 2000, the Dujardin and Fundex combined to give us a dice game with a domino vibe. 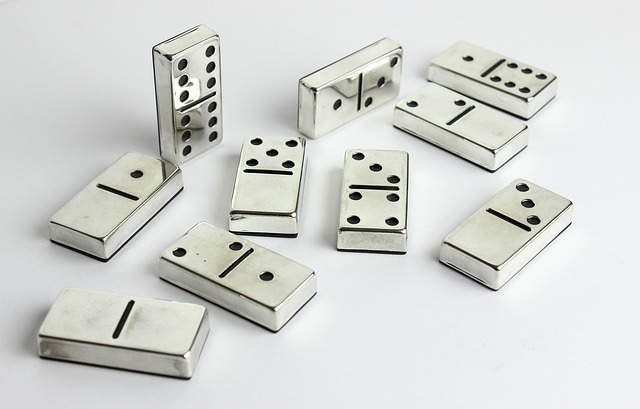 Described as the “next generation of dominoes”, Domino Dice is essentially a combination of well-established gaming traditions. On the one hand, you have the fundamentals of dominoes (i.e. matching numbers). On the other hand, you have some elements of luck pulled from the casino gaming sector. For those that purchase this creation, you’ll be given seven dice sporting two sets of numbers on either side of a divide. Also in the box is a card with seven sets of rules, all of which have a slightly different take on one main action: rolling. Much like the casino game craps, the dynamics of the dice increase the random nature of the game. 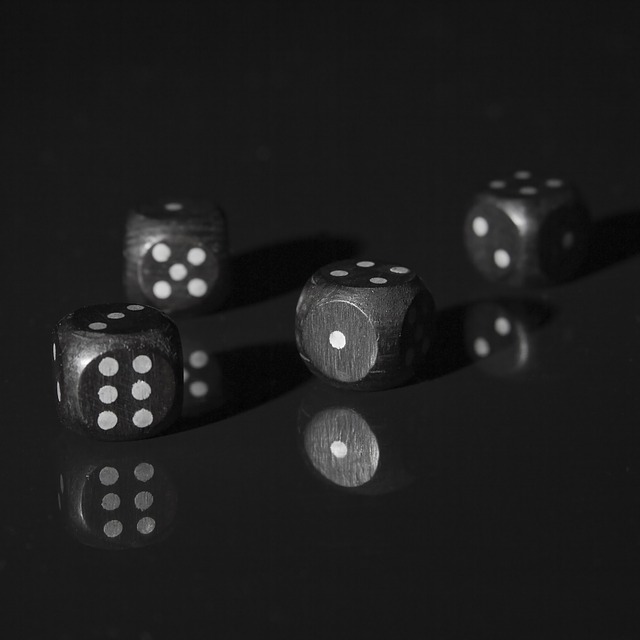 Despite using just two dice, craps is able to offer players more than 40 different betting options. With 36 possible number combinations, the outcome of a roll always generates a sense of anticipation, a vibe that Domino Dice has embraced. For the purists, this element of chance might not be desirable. Even though the traditional format has an element of uncertainty, it’s not as pronounced as it is in Domino Dice. Because a roll can be used to determine the number you have to follow, it’s much harder to plan ahead. In other words, when you’re playing traditional dominoes, you can start to build up an idea of what your opponent is going to lay by looking at your dominoes, the ones that have been laid and your knowledge of what’s left. However, when you play Domino Dice, the rolling process makes things less clear. However, when you look at the history of craps, the element of luck clearly hasn’t harmed its popularity. Even if you exclude the fact its roots stretch back to Old English games like Hazard, modern craps has been popular since the turn of the 18th century. The main reason is that there is a fusion of tactics and luck. The same is also true for Domino Dice which, if you’re someone that’s playing for the rush, is a reason you’ll appreciate this variant. For something with a little more of a nod to the strategy side of dominoes, Kingdomino is perfect. Taking cues from board game classics like Risk, where the aim is to gradually build an empire and dominate, Kingdomino requires players to lay down blocks and fill up a map. As the Lord of your proverbial manor, you’ll need to complete a 5X5 grid in order to rule the game and take the crown. However, in order to do that, you need to ensure your blocks have at least one side matching the terrain type of the one it's connected to. This is no different from traditional dominoes, other than the fact it's types of land on the blocks and not numbers. In contrast to Domino Dice, planning plays a much bigger part in this game. By assessing your holding, the makeup of the map and thinking about how your opponent might move, a skilled player can start to get an advantage over a newbie. Naturally, like pure dominoes, there is still an element of luck thanks to the draw and your timing, which is something purists will love. If we’re weighing up the two alternatives side-by-side, we’d say Kingdomino is certainly one that favours tactics over luck. However, Domino Dice would have the edge when it comes to excitement. Because it’s tougher to predict how the game is going to flow, things are slightly more even as experienced players can’t simply run over a novice. Additionally, the result of a roll could go in multiple ways, which means there’s always a sense of anticipation and trepidation. Of course, if you’re a fan of dominoes and want to try something new, both games are great alternatives to the original. However, if you’re erring towards a game where skill can prevail, Kingdomino would be the one to choose.